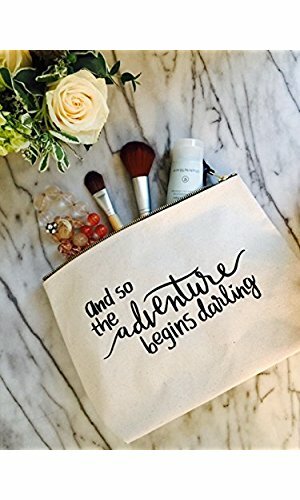 This extra-large canvas travel makeup bag with quote will help you kick off your life’s adventure in style. 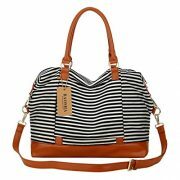 The 18 oz thick cotton canvas exterior with black waterproof nylon lining inside makes it perfect for stowing away makeup, cosmetics and travel-sized toiletry essentials. 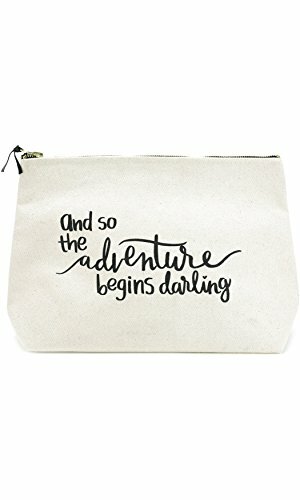 The stylish brass zipper with black leather pull and darling hand-lettered quote make it nice enough to double as a small clutch. 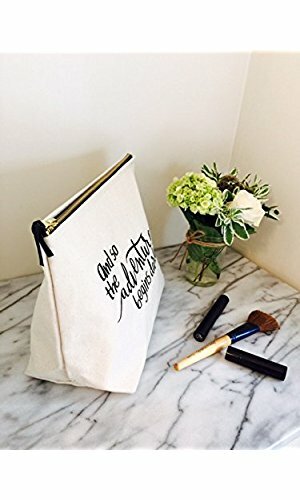 Whether it’s getting married, starting a family or need a cosmetic bag for that dream vacation, you need a makeup bag that keeps up with your busy lifestyle yet has a little unique flair – just like you. 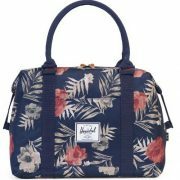 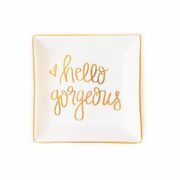 Use it as a travel and cosmetic bag during your next jet-setting jaunt. 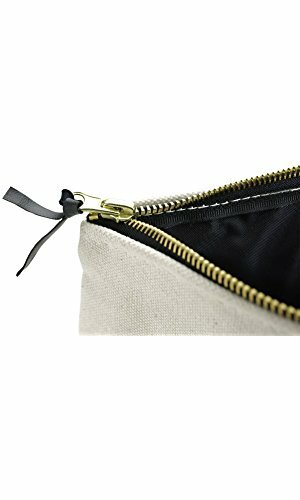 18 oz (thick and sturdy) 100% cotton canvas with a black waterproof nylon lining making it perfect for stowing away your travel bag essentials and makeup bag must-haves.